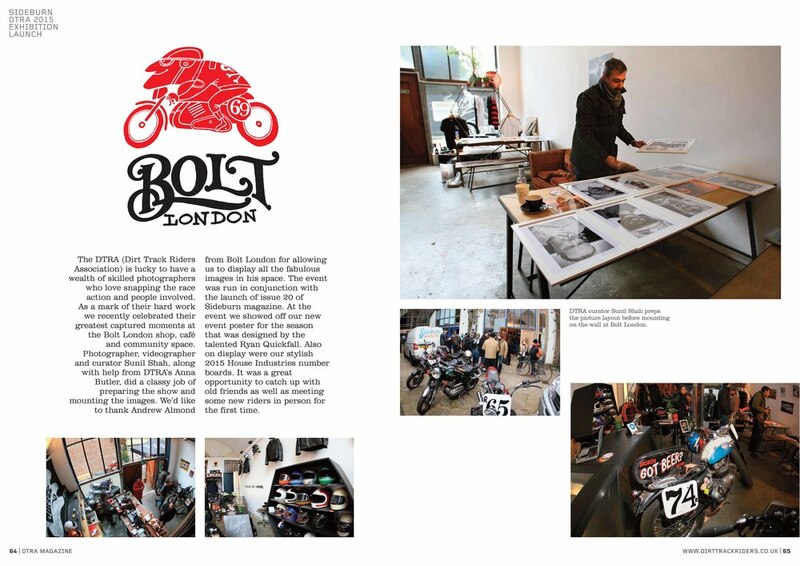 March saw BOLT host the launch of the Dirt Track Racing Association (DTRA) season alongside Sideburn magazines issue launch. As well as an exhibition and a display of the new DTRA race plates designed by the legendary kings of typography House Industries there was a great display of dirt bikes from classic Harleys through to modern day equivalents. The Dough Boys set up out front serving Pizzas from a converted Landrover which were washed down with beer served up by Mercedes who graciously looked after the bar. As the evening drew in we moved to host the Eat Dust after party with an almighty Dj line up including The Black Lodges, The Black Skulls and Simon Erl. With the music cranked up the party rolled on into the morning.